New Lapua 220 Russian Brass — Thicker Necks? Jackie Schmidt, posting on Benchrest Central, observed that there may have been some production changes with Lapua 220 Russian brass. This brass is commonly used as the parent case for fire-forming 6 PPC cases. The newer 220 Russian brass has slightly thicker neckwalls, and, according to Jackie, the new brass is more consistent in overall neckwall thickness. What does Lapua say? We’ve sent inquiries to Lapua’s USA tech representatives. We hope to have a response soon. Share the post "New Lapua 220 Russian Brass — Thicker Necks?" Shooting in the Unlimited (rail gun) class, James “Jim” McGowin shot a 0.355″ 5-shot group at 300 yards. This has now been officially “certified” as a new NBRSA record. McGowin’s group beat the previous 0.373″ shot by Art Freund in 1981. McGowin was shooting the 6mm Beggs cartridge in a match in St. Louis, MO. 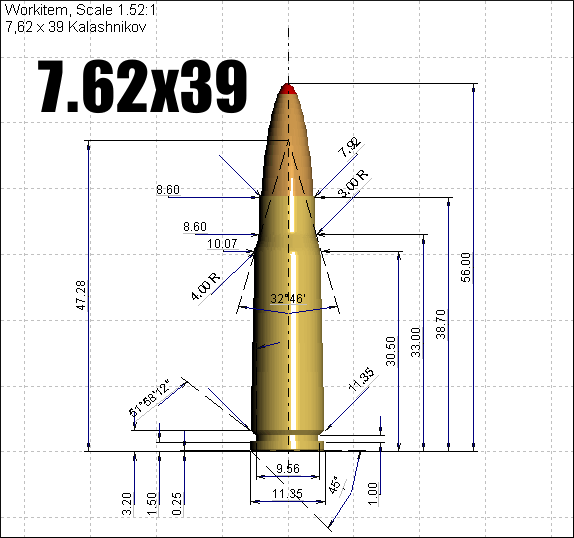 For his record group, Jim used his own 63 grain BT bullet, a 7.5 ogive made on J-4 .750 jackets in a Niemi die. 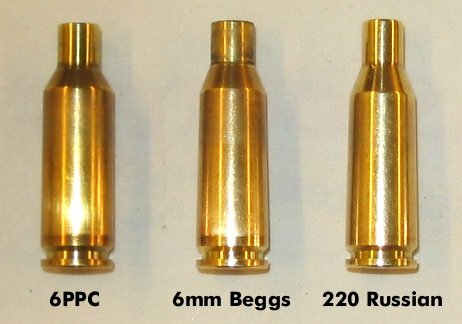 The 6mm Beggs cartridge is basically a 220 Russian necked up to 6mm, with a very small modification of the radius at the neck-shoulder junction. (Gene Beggs added a tighter radius to reduce case lengthening on repeated firings.) 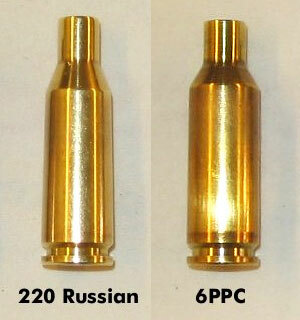 The 6mm Beggs, and its smaller cousin, the 220 Beggs, have slightly less capacity than a fire-formed PPC case. However, in a good BR gun, the “raw accuracy” of the Beggs’ cartridges can rival that of a 6 PPC. Indeed a standard, unmodified 220 Russian is competitive in the 100/200 yard BR game. Lou Murdica, a top shooter on the short-range BR circuit, has won many matches with a “plain-jane” unmodified 220 Russian. 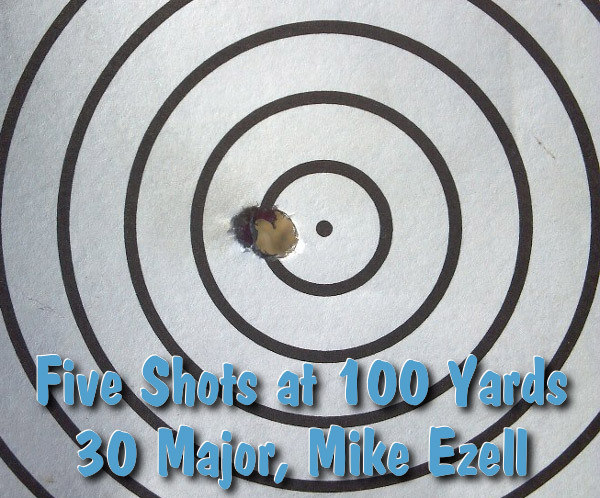 Share the post "McGowin Shoots 300-yard Record Group"